This augmented-reality visor uses a mobile phone to project 3D video. 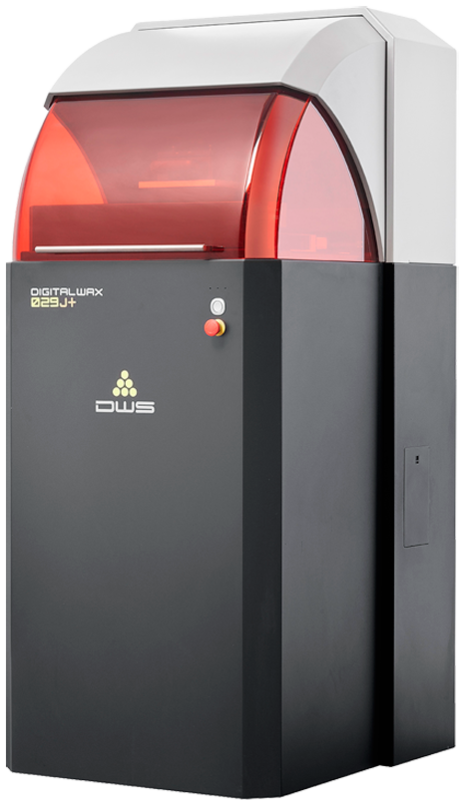 The prototype was created with the DW 029X 3D printer using three different materials, which were assembled in turn to test the rigid and flexible parts more effectively. Prototyping is needed for this kind of object because the design, assembly, flexible parts, comfort, and surface smoothness must all be evaluated before approving the product for mass production. After 3D printing, the components were removed from the platform and washed for two minutes in water-alcohol solution, then placed in the UV curing unit for 20 minutes of final hardening. The supports were removed and the components assembled manually. No further surface finishing was required.